The Worlds No.1 selling ankle brace. The offset panel traps the laces between the inner and outer flap to hold the laces tighter for longer. Internal U-shaped spiral provides extra support. 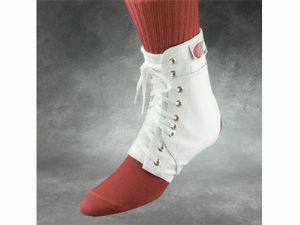 Supplied with side stabilizer inserts to provide additional support to the inside and the outside of the ankle.